Fishing on a Key West Florida Fishing Charter out of Key West, Florida, is unlike any other charter you have ever been on. For me, Captain Mike Weinhofer, as well as my crew of experienced charter Captains, it's what we love to do! It’s a chance to show clients, both novice and experienced, our passion and why we love fishing in the beautiful Florida Keys. On a Key West Florida Fishing Charter we like to have fun, so be sure to bring your sense of humor. Our goal is to get people involved in all levels of fishing. If we do ALL the necessary activities to prepare, find and hook your fish, then simply hand the rod to you, you have already missed out on a lot of what makes fishing so fulfilling. That wouldn’t be fun for you. We will teach you as much or as little as you want to know about Key West Florida Fishing. Some people want to help run the boat, hook their own bait and catch the fish and even gaff their own fish. We’re all for that! The more you learn with Key West Florida Fishing Charters the more fun you'll have on your trip. There is no need for apprehension. As with most charter boat captains, there isn't a mistake you can make on the boat that we haven’t already made at least once in our careers. I’m sure we would make plenty of mistakes at your job too. We believe fishing should be fun. Fishing is supposed to be fun. We like to laugh at (I mean with) our clients and may even bust your chops a little, but we are committed to making the charter experience fun for everyone on the boat. On a Key West Florida Fishing Charter you can expect to use well-maintained gear and we pride ourselves on using first-class equipment. You pay good money to go fishing and we want to give you the best boat, tackle and gear to get it done well. 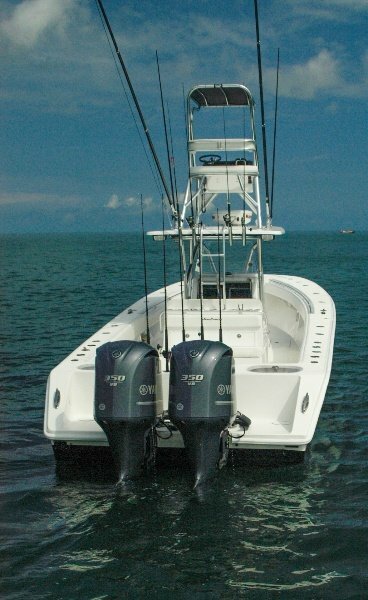 The Key West Florida Fishing charter boats are safe, clean and maintained in top condition. As you can see, we have every size and style boat to accommodate any fishing trip you prefer. A lot of Key West Florida Fishing charters are repeat customers, so it’s like taking old friends out for a day of fishing. After a trip or two we really get to know our charters and we know how to ensure you have a great time. The one thing I ask from all our charters is that if you are not having fun, don't wait till the end of the day to tell us. Tell us immediately so we can fix it. Our goal is to catch you the memories you are hoping for and for us to make new friends for years to come.